Amid the endless plains of Kazakhstan, an extraordinary architectural experiment has arisen: Astana. Formerly an outpost of the Tsarist Empire in the barren steppe, the location had developed into a typical Soviet provincial town. However, both internationally renowned and local architects are now designing spectacular and unique buildings in this dynamic city. Furthermore, Astana will host the Expo 2017 which will take place only twenty years after the city was built in the steppe alongside the old centre. 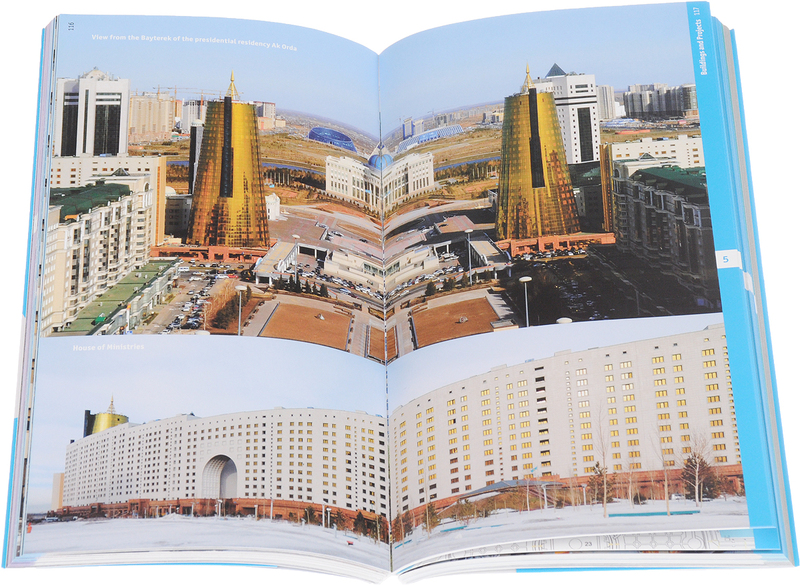 The Astana Architectural Guide documents eighty diverse buildings and pro-jects in the Kazakh metropolis, which was masterplanned by Kisho Kurokawa, and examines the contradictory nature at play within oriental traditions, western models and Soviet in? uences. There-fore, this publication represents a critical analysis of architecture and capital city planning in the centre of Eurasia.